SAN FRANCISCO, CA – April 8, 2019 – Founded in 2010 by siblings, Kyna and Conan Fong, Elation Health is a mission-driven healthcare startup dedicated to strengthening the physician-patient relationship. Elation Health observed medical record practices and constructed a way to use “tech-savvy” integrations to make it easy for physicians to provide comprehensive, personalized and proactive care to their patients using technological platforms for enhanced services. 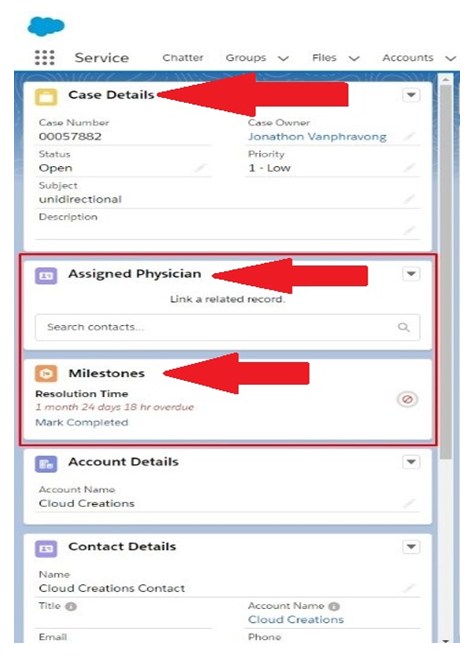 The Cloud Creations project manager and developers were posed with the primary challenge of migrating Elation Health’s existing CRM ticketing system from Desk.com into their new Salesforce’s Service Cloud implementation. 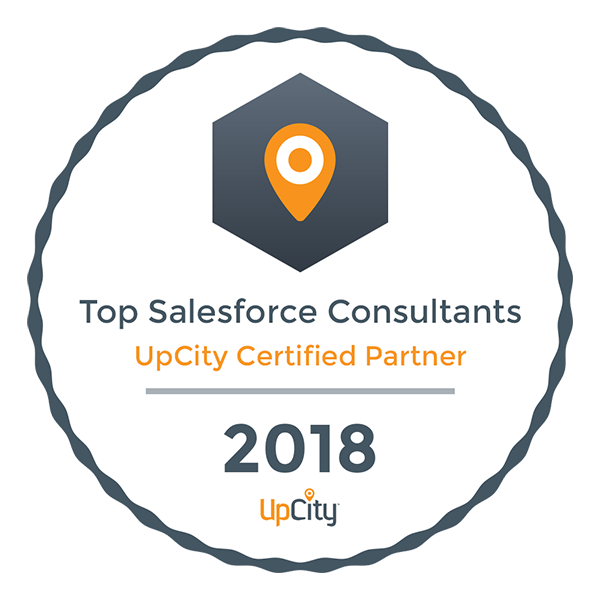 Additionally, Cloud Creations had to recreate a number of their help articles as “knowledge,” as well as, develop an implementation process for configuring their current support webpage into a community site in their Salesforce. Cloud Creations implemented a number of case object functionalities as web setups, and portals for Elation Health. In this setup data was configured using process automation to recognize accounts and contacts as cases, and additionally using role hierarchy this data could be accessed and cached by its appropriate internal field users as community, and as a Service Level Agreement (SLA) in milestone designations. Elation Health also had external data to be configured as knowledge in the form of articles and inquiry based data. To do this Cloud Creations implemented web-service and HTML web template configurations. Case issues could be tracked and filtered using directional field display workflows, and reasons or issues with the case could be designated within the same field display functionality as well. 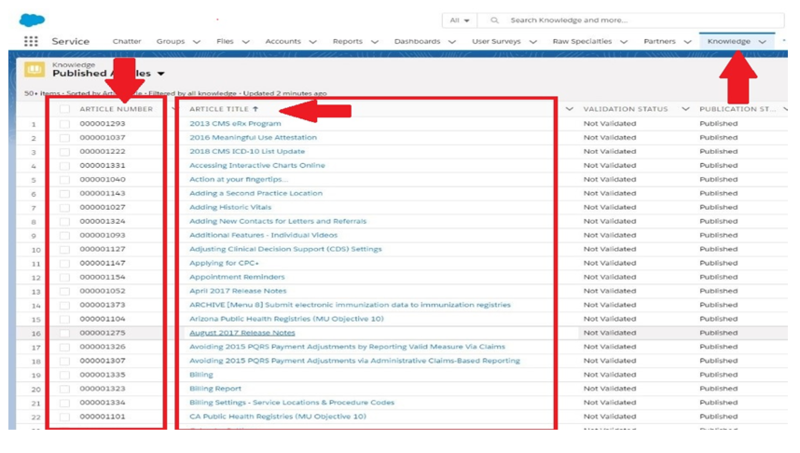 Case object details automate and display information such case number, account status, service leads (as milestones), and physician. Take a look at the role hierarchy automations implemented by Cloud Creations for yourself below. 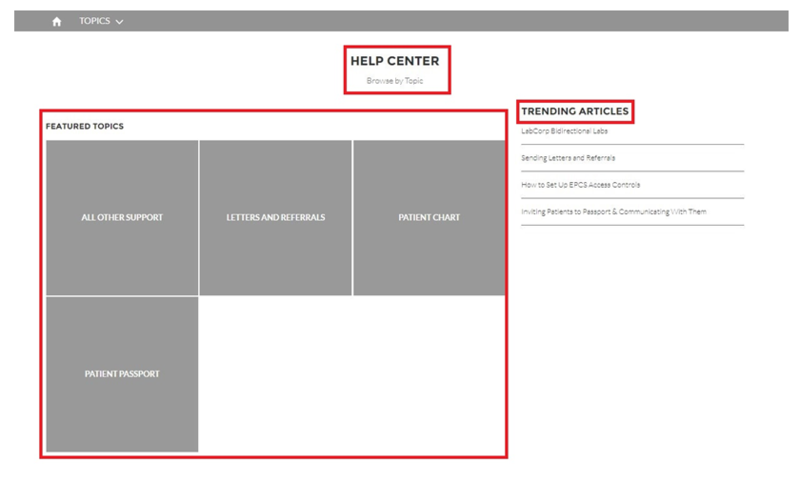 HTML templates could initiate inquiries or be searched as topics and then generate an answer (also archived as knowledge in Salesforce), or display corresponding articles (knowledge) related to the search or top as well. Knowledge can also be managed using a custom object. 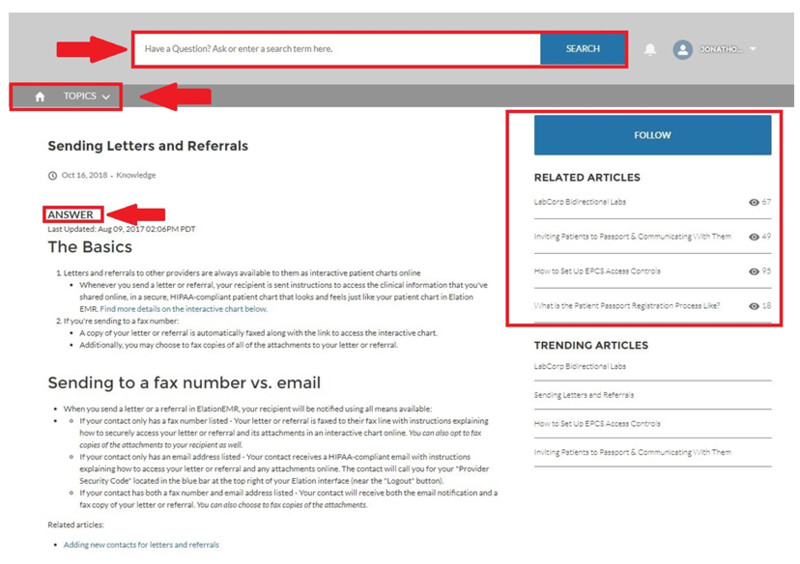 Users can access articles by number or title within the object environment implemented by Cloud Creations. 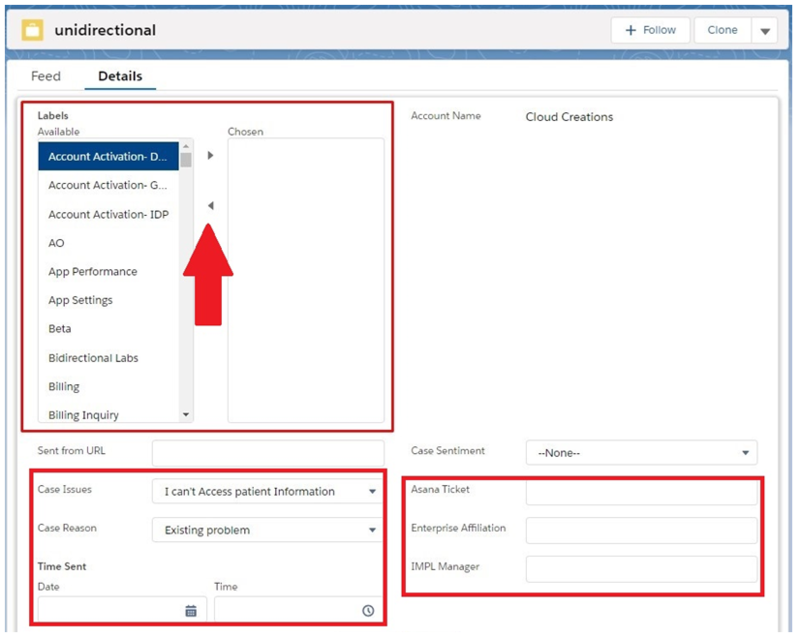 Elation Health users filled out forms on Elations client user interface which were then filtered through Elations web-service and to internal users. Therefore, in the end, Elation Health had sought stringent case assignment rules to their implementation. They desired criteria to be assigned and routed to an urgent queue where internal users could then be assigned to an account or contact as soon as it hit the system. Cloud Creations was able to configure these data elements and workflow processes into Elation’s Salesforce Cloud CRM environment.